We all knew when we heard that British Beauty Blogger had teamed up with Makeup Revolution that something special was going to happen. 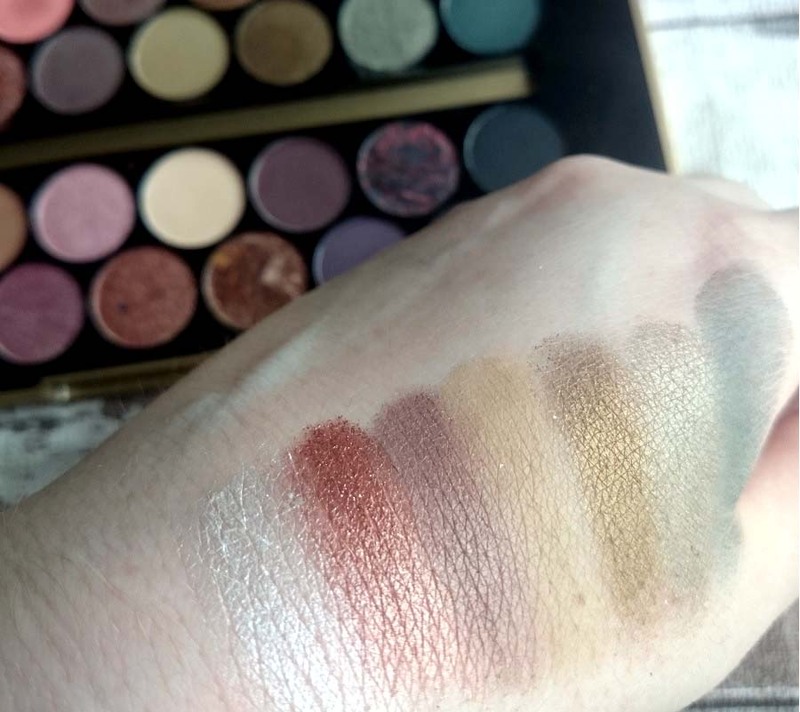 One of my favourite bloggers collaborating with one of my favourite budget makeup brands was music to my ears and I couldn't wait to get my hands on the Fortune Favours the Brave palette when it landed. I did though. 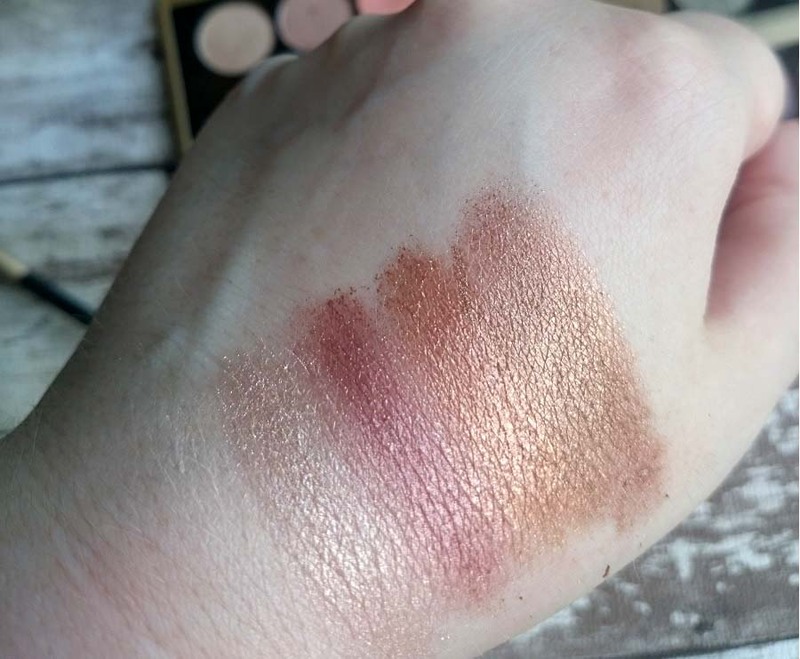 I waited, I read reviews, I looked at swatches (bloggers read blogs too!) and then I took the plunge. Much as though I'm a huge fan of Makeup Revolution as it stands, seeing this appear in all it's golden packaging form I couldn't help but get a little excited at owning something a little special in their already expansive range of products. I love how they made this gold as opposed to their usual sleek black packaging. The packaging is sturdy and will stand up to me chucking it back into the makeup drawer when I'm rushing and I have to make note of the brilliantly clear and generously sized mirror in the palette! A 30 pan bonanza of a palette. We've got mattes, exquisite metallics, glimmers, shimmers and those marbled shadows all working together to offer a palette that is suitable for day time and night time wear. The shades are suitable for any and all skin tones as well and you can see that a lot of thought and effort went into perfecting it. The very first three shades Glimmer, Buffer and Peachy don't do a huge lot for me if I'm honest though they do work to set any eyeshadow primer you've perhaps used. Once you get past those exceptionally light shades to the rest of the top row, that's when the magic really starts happening. The two shades on the end of my hand Hope and Fortune are a prelude as to what we can expect from the metallics in this palette. 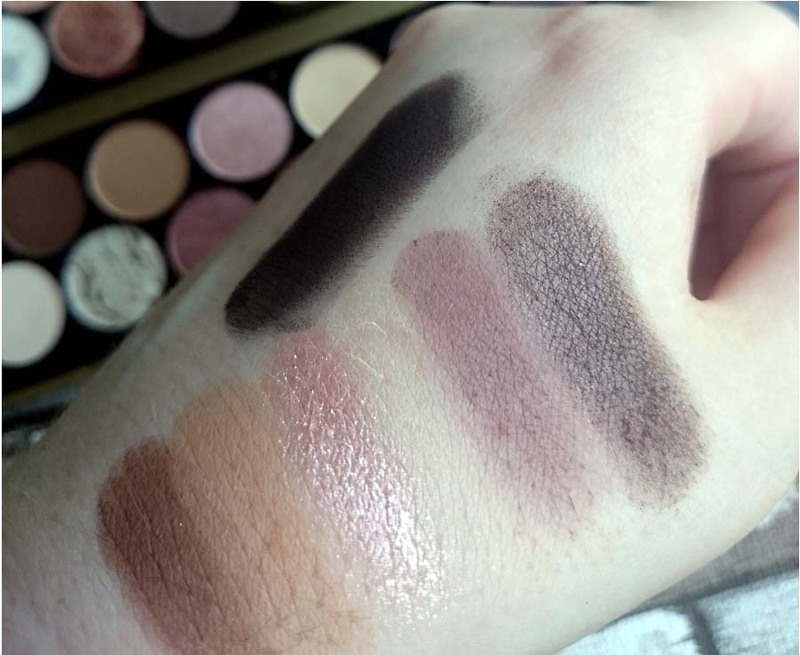 Though these are the softest in the palette they still swatch beautifully and are gorgeously creamy. Still on the top row we have Skylight which is a stunning purple blue metallic with a fine gold glitter pigment running through it, Transformer is a gorgeously deep night sky blue and Midnight Rainbow is the stuff of mermaid dreams. Glorious sheen to these shadows that is so hard to capture! Curses! Oh hold me! We're onto the second row now that starts with a POW! Ice Cloud, Golden Coins, Cashmere, Tip Top, Yes Please and two green shades, Green Machine and Smoothie, WOW! Really great pigmentation on these which I was suprised at as I know sometimes when you head down the metallics route you can lose a little however these shadows are creamy and buildable. The third row is my jam and it's the row I find I use the most, probably because I'm more of a daytime makeup wearer. 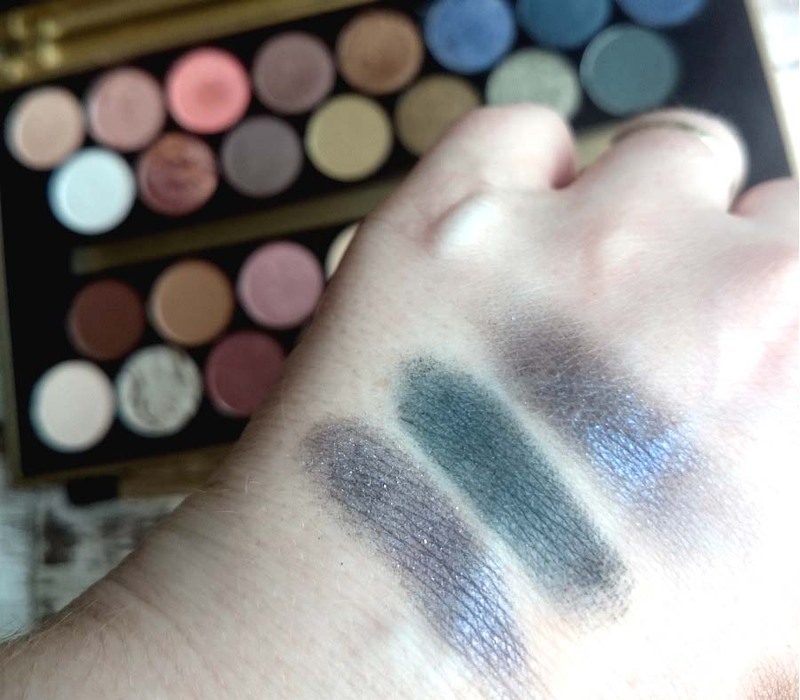 We start off with (what are possibly my two favourite shades in the palette) Caffeine Fix and Latte, fantastic shades for anyone who enjoys a simple eye look with a deepened outer v (complete with winged liner of course!). There's a stunningly high fashion barbie pink, Pink Diamond and another great shade for simple shadow lovers, Creme (barely noticeable in the swatch if I'm honest). Rounding off the third row we have two very wearable purple shades in Drama Queen and Lonely Planet and special mention for the amazingly pigmented Blacqua, a brilliant matte black shade that I've found perfect for smoking out my eye looks. Oh but that fourth row. Have you ever..... creamy and rich these Summer friendly shades are so on point it hurts! Perfect for creating that sun dew / bronzed look we're all aching to achieve this Summer! The fourth row brings us Soft, New World, Favour, Sunset Hour and Super Gold in the light metallics family and oh how they shine! 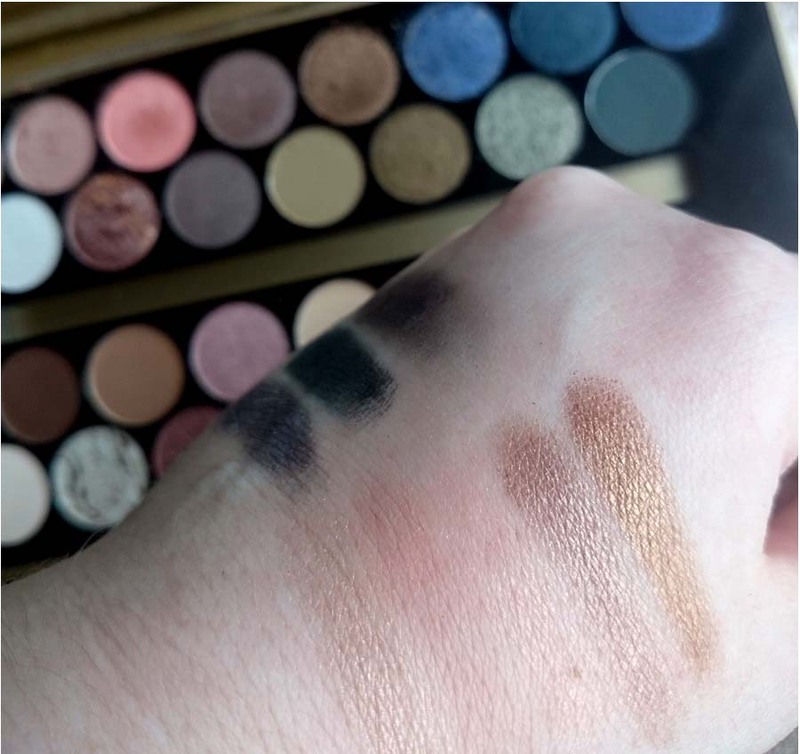 I did worry that these would lose a little of their sheen when applied with makeup brushes to the eye instead of swatches but I have been happily using away at them with no issues at all. Winning is a matte dark lilac purple, then we've got Brave which is a heartbreakingly GORJ purple black shadow with almost a pink glitter pigment running through it and the whole palette is rounded off perfectly with The Revolution which is just GLORIOUS! Again a dark shadow base with pink and purple pigments working to give it the ultimate metallic sheen. It's safe to say I'm a fan. I'd heard some reports of bad fall out from these shadows and some reported finding them hard to work with but having used it on and off for a month now I can safely say I didn't find that was the case for me at all. There is a little fall out in the beginning, as with most palettes, I found this was moreso in the top row that the rest of the palette. I found each shadow to be easy to work with, the lighter shades don't get as much use if I'm being honest as they don't show up on my casper skin however they are perfect for setting a primer so I'm happy enough and don't feel as though they were a waste. All in all I'm impressed and pleased to have gotten my hands on this palette. 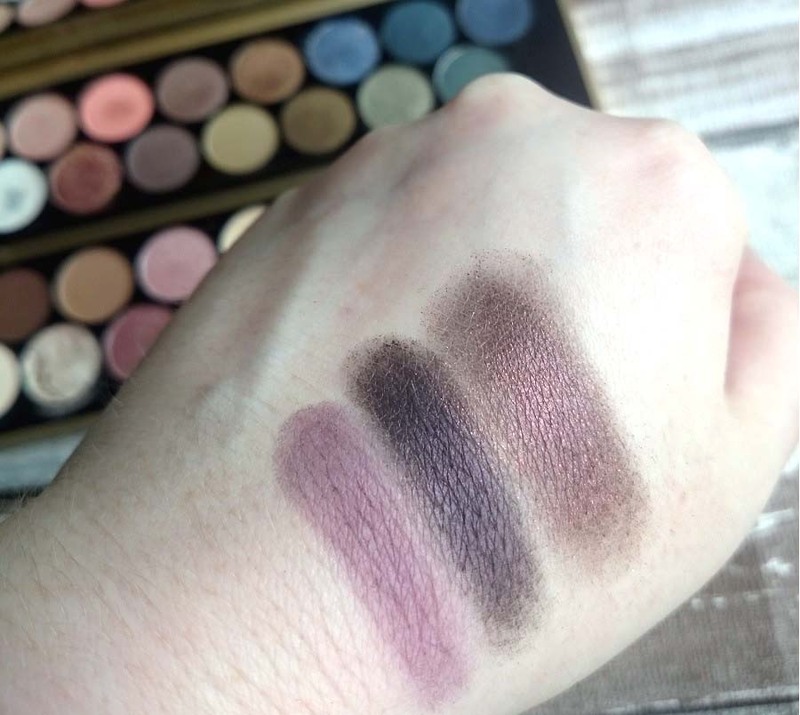 The Fortune Favours the Brave palette is priced at £9.99 and can be purchased through the Makeup Revolution website or Superdrug (handy if you've a beauty card!). 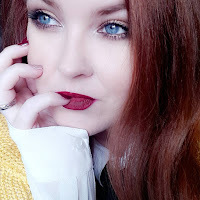 It is worth every penny of the £9.99 in my opinion and I'm proud to be supporting a fantastic brand who choose to work with brilliant bloggers. Have you gotten your hands on Fortune Favours the Brave yet?